When your computer gets infected, your software frequently crashes, or your hardware becomes damaged, does not necessarily mean you have to buy a new computer or spend a fortune repairing it. ABC Computers provides the best and fastest solution to all your PC repair needs. Give us a call as soon as you see problems with your computer. We will analyze the problem and give you solution options right away. Our remote services allow us to access and fix most issues directly from our offices without having to travel or move your hardware. 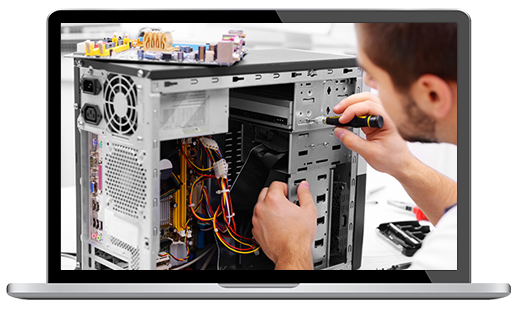 At ABC Computers, we only use brand new, quality parts for repairs, so you can be confident in the work of our technicians and the longevity of your computer. Founded on the simple belief of quality of service and workmanship at a competitive price, ABC Computers strives to be your first choice for all your technological solutions. Call us today to schedule your computer service at 313.871.8711.